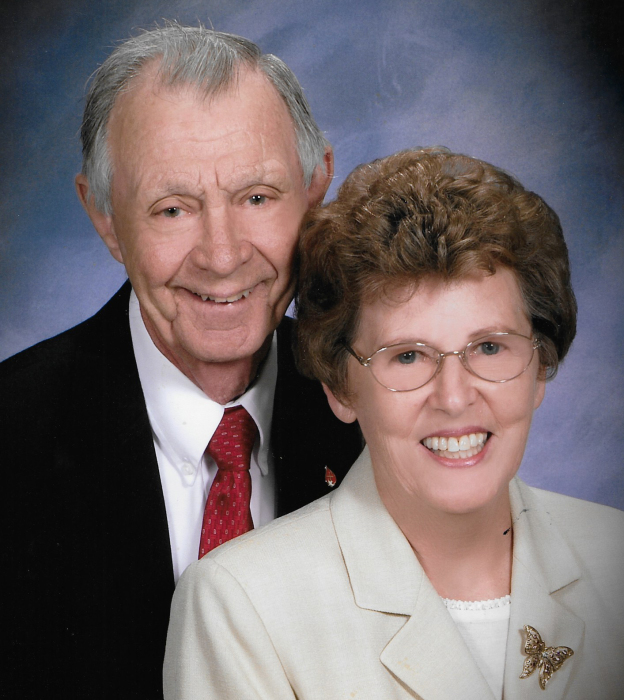 Herta Dorough, 80, of Lee County, passed away Wednesday, April 3, 2019, at Phoebe Putney Memorial Hospital. Funeral services will be conducted Friday, April 5, 2019 at 11:00 am at Mathews Funeral Home. Rev. William Collins will officiate. Interment will follow in Floral Memory Gardens Cemetery. Herta was born March 2, 1939 to the late Kasper and Maria Waltl Egger in Saalfelden, Austria. She met her husband, Douglas Dorough, while he was serving overseas. The two married in Ludwigsburg Germany in 1957. Herta became a U.S. citizen in 1962. She was the store manager for Hallmark Card retail store in East Albany, for nearly twenty five years. Herta was affectionately known as Oma to everyone. She loved her Lord, fishing, Georgia Bulldogs, Atlanta Falcons, Atlanta Braves (all teams through good times & bad), her husband, her family, and especially her three great grandchildren, which she adored. Herta was a Christian and a member of Porterfield Memorial United Methodist Church. Survivors include her husband of sixty two years Doug Dorough of Lee County, a daughter Cindy Porter (Rick) of Lee County, a son Norman Dorough of Albany, GA, grandchildren Stacie Porter Brown of Lee County, GA, and Ricky Shane Porter (Elizabeth) of Beaufort, S.C., great grandchildren Rigby Brown, Emma Wellington, and Liam Porter, Sisters Erika Dullary of Albany, GA, Irmi Smith, CO, Elfriede Kirchmair and Ingried Egger, a brother Siegfried Egger all of Austria, and numerous nieces and nephews, all of which she cherished. The family will receive friends on Friday, one hour prior to the funeral.